Boxes of pet treats that never run out are now delighting dog and cat owners on the Slovenian market. Their name is simple: PetPaket. It’s hard to find anything more humble and heart-breaking than the look in the eyes of our pets begging for food, cuddling, playtime,... We know that in pet-friendly homes, no four-legged friend is ever truly deprived of any of the above, even if the big eyes might be »selling« an entirely different story to an innocent bystander. Despite this, we want to brighten the days of our always-wanting-more little beasts with small treasures, a bit more special than the everyday treat. This is exactly what you get by subscribing to treats and toys by PetPaket, a monthly bundle of gifts to spoil your pets. Your box will be sent through the mail two or three days after your initial order, and the subsequent ones will arrive on the 15th of each month. As the founders of PetPaket explain, the box was created to »brighten the lives of our dog and cat friends and spoil them with treats and toys, every month.« The PetPaket box includes treats by Antos and Flamingo, along with a surprise in the form of a new toy each month, so your furry buddy will never get tired of the gifts. A six-month subscription to the dog box costs 105 euros, and a subscription to a box of treats and toys meant for cats for the same amount of time is 83.40 euros. If you have a dog, you can adjust the box size to the size of your pet. Pikolino is intended for furry friends of up to ten kilos, Medium is for those weighing between 10 and 25 kilos, and Mačo would suit any dog heavier than 25 kilos. The price remains the same regardless of the size of the dog and consequently the box selected. The dog box features three treat bags; two for chewing and one for rewards, a surprise toy, and six rolls of 20 dog poop bags. 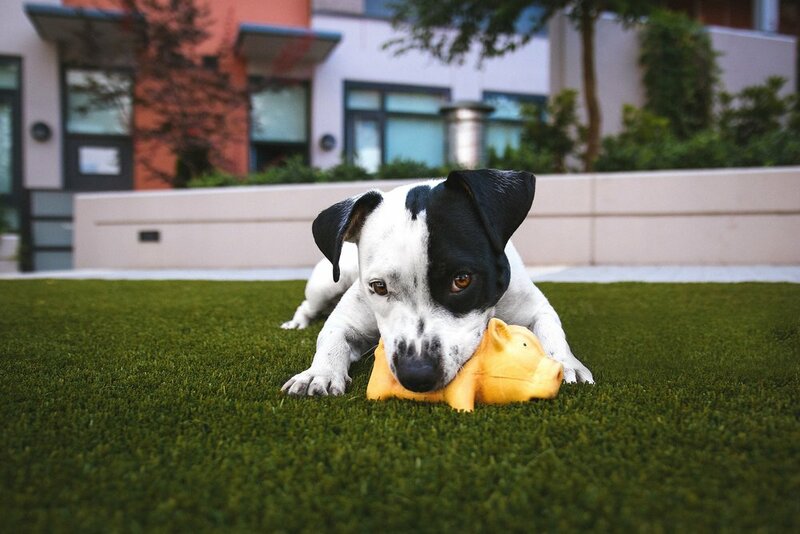 Because some four-legged friends can be picky or even allergic to certain ingredients, you can choose between getting them fish or a chicken and duck combo. To see how your pet would like the contents, you can order a trial box for 20 euros. If the answer is a wag of the tail and a lick of the snout, you can then join the many supporters of life per month. All you have to do is choose between the three-month subscription for 55.50 euros, or the six-month one for 105 euros, and the biggest dog party will be happening at your house. And the kitties? So they could continue purring with pleasure and lazily stretching, PetPaket also offers cat boxes featuring one larger and two smaller bags of treats (the choice here is also fish or meat), six chew sticks and two surprise toys. The cat trial package is 16.50 euros, and if you end up liking it, you have the option of subscribing for either three months for 44.70 euros, or six months for 83.40 euros. You can cancel your subscription to PetPaket at any point; but you must remember that signing up for three or six months means you pay for the entire period in advance. If you’re unhappy with any of the boxes, PetPaket will replace it with a better one. PetPaket is a creation by SZA narocnine, spletna trgovina, a company created last year in Ljubljana by three young animal enthusiasts: Sara Papler and the brothers Andraž and Žiga Dvornik. The price remains the same regardless of the size of the dog and consequently the monthly box selected. There is no doubting their ability to truly please pets, since their doggies Tara and Aria are part of the team. They must surely know the joy of never running out of tasty chews, delicious treats, and all kinds of stuffed toys, balls, and other toys. By subscribing to PetPaket, all these magical joy-creating ingredients will always be at your fingertips, and at your pet’s happy paws.